The oil pipeline between Iraq and Lebanon is expected to go back online. “Lebanon is in contact with officials in Iraq and Syria to discuss ways to reboot operations in the pipeline linking Kirkuk to Tripoli,” said caretaker Energy and Water Minister Cesar Abi Khalil. “These efforts are part of a comprehensive vision for the Oil Installations in particular and the oil sector in general,” he said. There are around 300 employees at the Oil Installations in Tripoli and Zahrani, according to Issa. Russian state-owned oil company Rosneft won this month an operation and service contract for Tripoli Oil Installations-Lebanon (TOIL) over a period of 20 years, excluding the refinery. It also operates oil fields in Iraq, making the possibility of activating the pipeline likely. The Lebanon Oil Installations has also launched a tender for the construction of new tanks at TOIL. The pumping of crude oil through the pipeline was stopped in 1982, when the war between Iraq and Iran broke out. 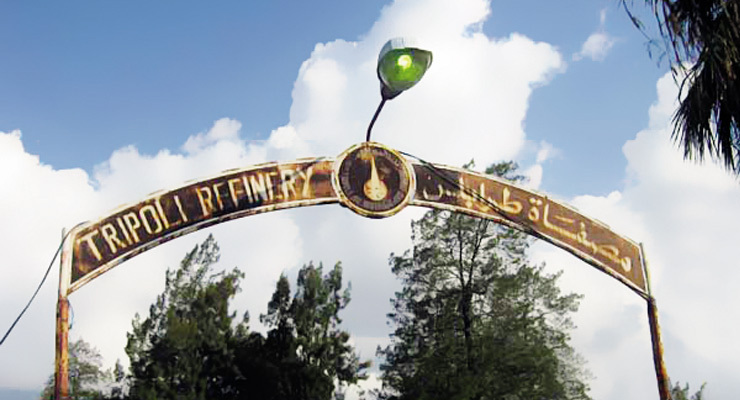 The refinery was subject to bomb attacks in 1983, but it remained functional until it broke down in 1992. Currently, operations at TOIL are restricted to the import of gas oil and fuel oil.